This page is for my CV details. To contact me use or to comment on this page use email or the other details at the end of this page. Qualifications: BSc, C.Eng, MBCS, CITP. Status: Semi-retired (only interesting projects considered). Director and consultant, Telecommunications Software Engineering (part time). ITU-T Specification and Description Language (see Z.100 series), Telecommunications software and systems design for Service/Protocol specification (such as ISDN, B-ISDN, satellite, ATM, GSM, DECT), Software Methods, language design (such as the Specification and Description Language Z.100 and CHILL ITU-T Z.200) and formal description techniques. Often work is undertaken on the basis of part-time (concurrent) contracts to provide additional expertise and technology transfer or specific deliverables. 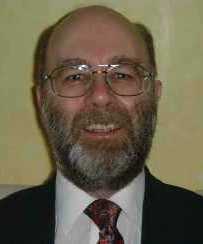 As well as the application of the ITU Specification and Description Language and related ITU languages, and consultancy in the use of these languages, was the Head of delegation for the UK at ITU-T in Study Group 17 2005-2008 (Security, languages and telecommunication software) and held a similar position since 1989. The technical work done within ITU-T has been to lead the studies and formulate the final versions of standards such as the Z.100 series standards. For ITU-T Study Group 17 2009-2012 "rapporteur" (leader) for Q.13/17 (leader) for Formal languages and telecommunication software (Z.10x-series, Z.11x-series, Z.12x-series, Z.15x-series, Z.400, Z.450, Z.600-series and X.900-series). Specification methods and languages in ITU-T (using UML, MSC, ASN.1, Specification and Description Language); ETSI project teams (see below); Use of Specification and Description Language in satellite and trunked radio system specifications; Use of Specification and Description Language for IN products; Education in Specification and Description Language; Rapporteur for ACTS and RACE European framework programmes (on Intelligence in Services & Networks and Service Integration); Service engineering review within RACE; Audit of ACTS proposals; Audit of system Architecture design; Technical writing and editing (Specification and Description Language, RACE, SPECS); Technical co-ordination of the RACE SPECS project (>50 person-years/year). ETSI specialist task force (STF) and project teams (PT): STF250 (UML profile for communicating systems), STF188 (use of SDL-2000 in ETS: standards work), STF121 (Harmonized integration of ASN.1 - TTCN - Specification and Description Language), STF110 (use of Specification and Description Language in ETS: rules for testing and validation), STF97 (illustrative use of Specification and Description Language), PT60 (Design methodology for protocols and services), PT65 (Validation of standards) and PT37 (Use of Specification and Description Language for testability). Managed simultaneously up to 25 engineers directly, and a number of engineers under sub-contract externally. Technical co-ordination of the whole SPECS project (over 80 engineers involved at project peak, multi-national, multi-organization). Contract management including initial preparation of accounts. Prepared license agreements for sales and procurements. Was previously with GPT Telecoms Systems Group in Coventry England (subsequently became Marconi, then absorbed by Ericsson) - Telecoms Systems Group. Started with company in 1966 as student apprentice. Final position Head of Future Architectures. Left when there was an opportunity to become independent. The Future Architectures section acted as internal consultants for software engineering, involved ongoing systems jointly being specified between Siemens and GPT, provided support for Specification and Design Language in GPT, and contributed to ITU-T (then CCITT) Study Group X. The section tracked external developments and ideas, for example 1989-91 covered: Industrialization of Formal Techniques, Framework for Object Oriented Design, Policy and Strategy for improving system testing, the programming language for a new Siemens/GPT system, software components and reuse, and RACE SPECS. Prior to taking this post: technical manager for the Local Call Processing (call and switching control) within System X. Independent Consultant, Telecommunications Software Engineering, from 10/91. GPT Coventry 10/66 - 10/91. 1993 – now Various consultancy activities such as advice on Specifications and Description Language use and contract Specifications and Description Language design work (Ascom, BT, Inmarsat, Motorola, Telematics, and others). Jan09 - Apr13 ITU-T SG17 rapporteur for Formal languages and telecommunication software (Q.13/17 2009-2012) see also Apr97 to Oct 08 & Nov00 to Oct04 below. Jun00 - now Board member of SDL Forum Society (Chairman Jun01 until retired Oct12). Jan02 - Jan12 European Commission framework projects reviewer (short term contracts from time to time). Jan96 - ??? (on request) Specifications and Description Language courses. Jul09 - Jul09 Technical Editor SDL2009 proceedings. Jan90 - Oct08 Head of UK delegation to ITU-T for SG17 and (previously) SG10. Jul07 - Jul07 Technical Editor SDL2007 proceedings. Apr05 - Apr05 Technical Editor SDL2005 proceedings. Mar05 - Mar05 Guest Editor COMNET Volume 48/6 Dec 2005. Nov00 - Oct04 Chairman of ITU-T standards group - Languages and Methods. Apr03 -Apr03 Technical Editor SDL2003 proceedings. Feb03 - Feb03 Guest Editor COMNET Volume 42/3 June 2003. May01 - Feb02 ETSI STF 188 - use of SDL-2000 in ETS: standards work. Apr01 - Apr01 Technical Editor SDL2001 proceedings. Jan00 - Dec00 Preparing Internal Course material on SDL-2000 and MSC-2000 for a Telecoms Manufacturer. Feb98 - Feb99 ETSI STF 121 - Harmonized integration of ASN.1 - TTCN - Specification and Description Language. Apr97 – Oct08 ITU-T SG17 rapporteur for Specification and Description Language (now Q.11/17 was Q.6/10 then Q.13/17). Apr97-Jan01 Protocol specification for advanced satellite system. Mar97- ETSI PT97 work: illustrative use of Specifications and Description Language. Feb97-Mar97 Technical Editor IS&N'97 proceedings. Oct96-Dec96 ITU-T mission to Telebras: education/consultancy S/W development. Mar96-Dec97 Use of SDL-92 in trunked radio specification (APCO). Jan95-Dec98 Rapporteur for ACTS/RACE IS&N and ACTS Service Integration. 1994-Dec95 Use of SDL-92 for Intelligent Network products (CET Portugal). 1994 ETSI PT60 and PT65 work: methodology for standards. 1987-Dec92 Technical co-ordination RACE SPECS - Use of formal methods involving Alcatel, IBM, GPT, Philips, France Telecom, Dutch PTT and other partners from 1987 (in GPT and TSE). 1988 Moved from Head of Software Methods GPT to take lead technical role in SPECS and CCITT co-ordination. 1981-82 Head of section: Local Call Handling software System X. 1975-80 Technical and managerial responsibilities for: Software Development tools for System X; Call Accounting. 1971-73 Switching Software; author assembler & micro-assembler. 1970-71 Computer Aided Design, GEC Telecoms. Specification and description using ITU Specification and Description Language and other techniques (acknowledged world expert); Telecommunications system design; Call Processing techniques; Software support system design; configuration control; CHILL language design; Compiler design; Linker design; Debugging techniques and tools; Principles of microprogram design. Various programming languages (CHILL, CORAL, Fortran, Assembler, Basic, Pascal, Ada, even Algol 60 and 68) and specification techniques (Specification and Description Language, UML, VDM, LOTOS, CCS, Z, CORE) have been used. 1975 Support software: 8 staff. 1977-81: System X software development facilities (for UK industry), Call Accounting. Co-author: Telecommunications Systems Engineering Using SDL, North-Holland '89. Papers SETSS '92, '88 & '86. Contributed to ITU-T standards on Specification and Description Language and CHILL (1978-2013).